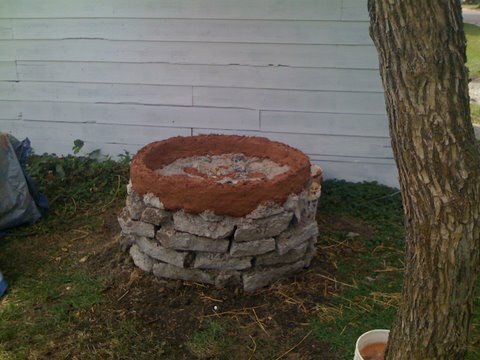 "Urbanite," or waste concrete, is often free for the hauling and can make a good base. When the city required us to redo several sections of sidewalk, we had all the base material we needed for our oven. 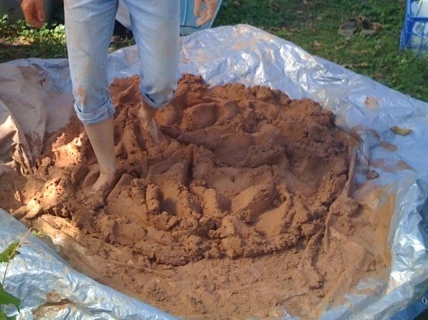 Mixing clay and sand for the first layer. >> Because my subsoil was mixed with topsoil, using it to build with would have been very difficult. So instead I got half a dozen buckets of waste clay from a local potter. Together with sand from a nearby quarry, the clay worked great! 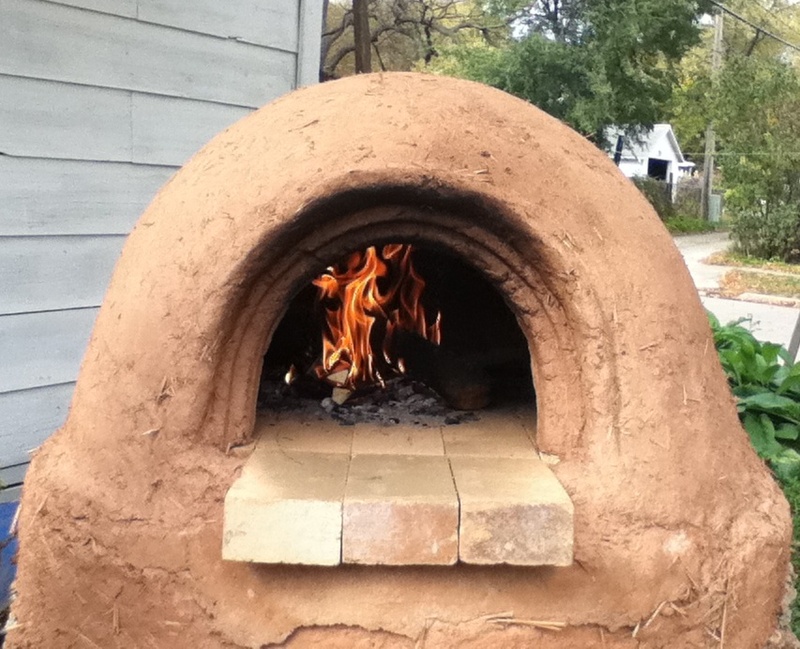 I love this oven, but next time I build one I would like to try out the two chamber approach outlined by Ernie and Erica. (They're supposed to make less smoke). 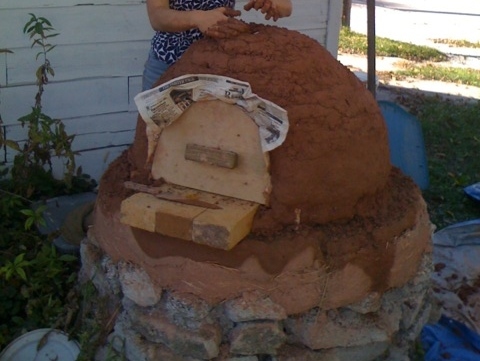 <<Urbanite foundation and the beginnings of cob construction. (Cob is a mixture of clay, sand and--sometimes--straw.) If you live where the ground freezes in winter, you should dig down several feet to start your foundation. <<Working around the oven door makes it easy to get a good fit. Later on, when you are prepping the fire for cooking, you put the door on to soak in a bucket of water to help slow down the charring process.